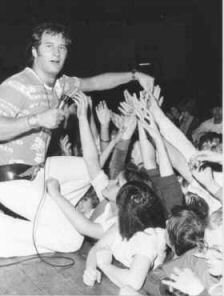 Emperor Rosko with Legs & Co.
Emperor Rosko or, Emp as he likes to be called, lived in Caddington so the California was his local. 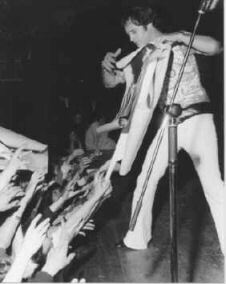 He appeared there on many occasions. When I asked him if he remembered any dates that he appeared his reply was "There were too many !!". 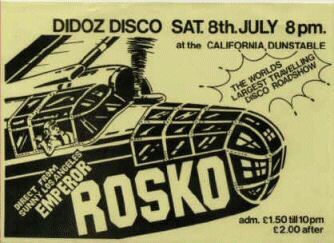 Talking to people who remember seeing Emp live at the California, most complain that they could never get their hands on any Rosko money. If anybody has some we'd love a shot of it for this page so that people can see what they missed out on.